How occupational therapy helps MS patients? When symptoms of multiple sclerosis inhibit the performance of the following activities, occupational therapy can be very beneficial. An occupational therapist can create an individualized plan of care that will address problem areas in daily routines that are having a negative impact on quality of life. An OT can also work with persons living with MS, to establish appropriate physical activity regimens that will assist in rehabilitation of deficit areas, and/or maintenance of maximal levels of function in order to prevent further decline. An occupational therapist specializes in the ability to make recommendations for home and activity modifications to ensure one achieves their highest level of function and participation. How can occupational therapy help with fatigue? Research indicates that fatigue is a common symptom that interferes with daily functions for persons with MS. An article written by Tiffany J. Braley, MD and Ronald D. Chervin, MD, states that fatigue is a symptom impacting “at least 75% of MS patients at some point in the disease course.” A primary step in fatigue management is to develop the skill of successfully identifying the factors that worsen fatigue; consequently, routines can then be modified to aid in fatigue reduction. An occupational therapist can assist persons with MS in learning energy conservation techniques, and in developing effective home and/or workplace routines. These interventions may be useful in maximizing participation in daily activities, while minimizing the negative impact of exhaustion. It is well established, through research and outcomes, that occupational therapy can play an important role in the life of an individual living with multiple sclerosis. In addition to fatigue, MS presents with many other challenging symptoms that threaten one’s independence and create disruptions in the things that make life fun and enjoyable. Below, you will meet Ms. Carolyn Marks. 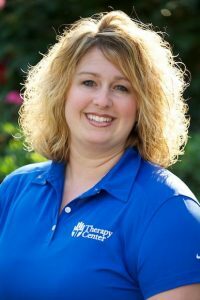 Her story illustrates how occupational and physical therapy can make a significant impact on function and quality of life. 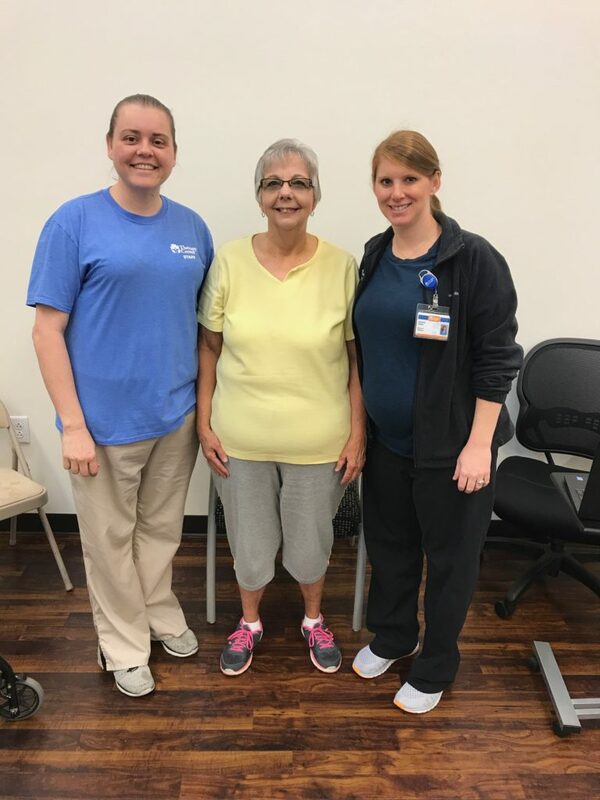 Carolyn Marks of Opelousas, LA, recently attended the Lafayette Multiple Sclerosis Symposium in October of 2017 where she was introduced to our Director of Education and Occupational Therapist, Danielle Keyser. Danielle was invited to present to individuals and their families about home modifications that are available to those who live with the diagnosis of multiple sclerosis, helping them live life more independently. Following the presentation, Ms. Carolyn felt compelled to call her physician to obtain a prescription for both occupational and physical therapy services. I can now kneel at church without being afraid that I would not be able to get up. I can stand up from a chair without holding on. I can now squat and pick up things from the floor. I am able to lift my leg without manually lifting it. If you or a loved one are living with MS or any other illness that has affected your quality of life and independence, contact one of our facilities today to see if you would be a good candidate for occupational, physical or speech therapy. If you are experiencing any issues with fatigue, self-care, memory, or concentration, talk with your doctor about prescribing occupational therapy. Did you know that physical therapy as well as speech therapy can also be useful in treating patients with MS?